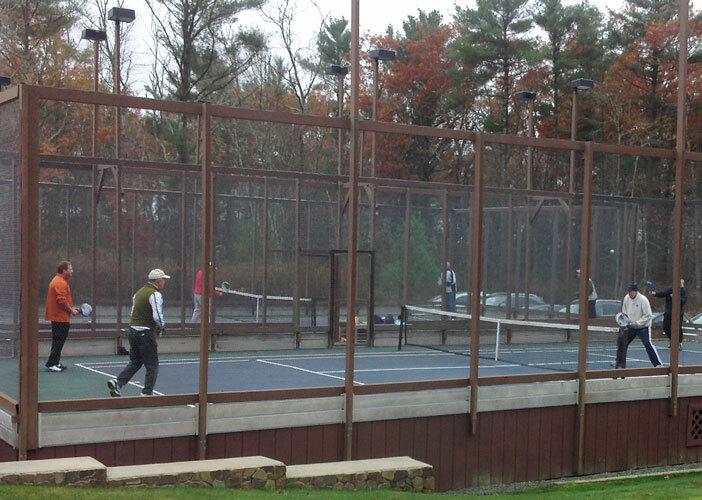 The Bay Club officially opened the Paddle Tennis courts recently with some Round Robin play and an exhibition by a few of the club’s top players. Â They were joined byÂ paddle instructor Jakob KlaesonÂ who is conducting clinics and lessons for members this season at the club. A native of Sweden, Jakob has worked for several high profile country and tennis clubs in New England over the past five years, with an excellent track record for adult and junior teaching. Â He is PPTA certified and the assistant platform tennis pro at Dedham Country and Polo Club as well as the Head Tennis Pro at Dartmouth Indoor Tennis Club and Assistant Tennis Pro at Sakonnet Golf Club. Paddle is an easy game to learn and doesnâ€™t require any previous racquet sport experience. 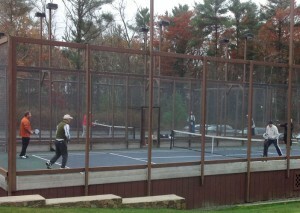 Â Access to paddle is available with all memberships offered by the Bay Club. Â To learn more about joining the club, pleaseÂ click hereÂ or contact Director of Sales and Membership Dave Andrews atÂ dandrews@bayclubmatt.comÂ or 508-207-9232.